The Ship Inn is a family run restaurant and pub featuring a sumptuously varied menu offering locally sourced meats, fresh fish from Lyme Bay, hand-picked crabs from Beer and vegetables from nearby farms. 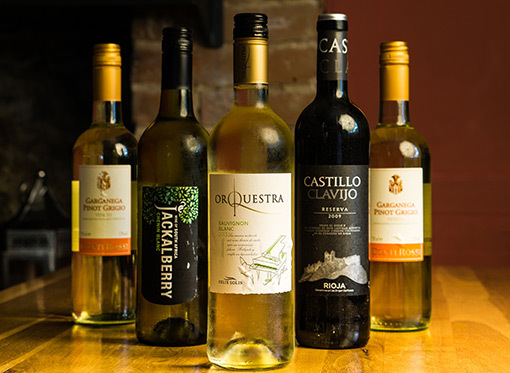 To compliment our Local Beers we have a Wine List of wines to suit every occasion and meal. We offer suggestions to what wines may compliment certain types of food. We also provide 175ml and 250ml options to most of our wines. Champagne Great Brut, Blanc des Noirs ~ Champagne N.V.